To be fair, there’s a reason that period movies always win this award instead of contemporary. With a period film, everyone, even the extras, have to be in an authentic costume designed just for them. With a contemporary film however, you have all these extras going “What should I wear?” “Oh, just grab something from your closet. Don’t bring anything with a logo on it.” With that said, let’s take a look at the nominees for Best Costume Design. The first nominee is Anna Karenina. The costumes are designed by Jacqueline Durran, who was previously nominated for her work with Joe Wright on Pride & Prejudice and Atonement. I expect her threads used in the film to take home the gold. The costume design is very well done, and every character looks spectacular. Anna Karenina is the type of movie that wins this award almost every year, and while it isn’t the biggest lock of this years awards season, this category is easier to call then some of the other craft categories. 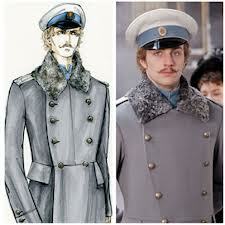 The movies biggest competitor in this category is..
Les Misérables, costumes designed by Paco Delgado. If you’ve never heard of the guy, he’s a spanish costume designer that worked on such films as Biutiful and The Skin I Live In, and this is his first nomination. The costumes in this movie are very well done, matching each character well. It puts you in the right tone for the musical, and I ‘d imagine that it gets a handful of 2nd or 3rd place votes on the big night. And then you’ve got Mirror Mirror. This was my favorite surprise of the Oscar announcements, but I never thought that it actually had a chance at winning. Then, I found out two very important things about costume designer Eiko Isheoka. One, she won the oscar in 1992 for Bram Stoker’s Dracula. Two, she’s not exactly alive at the moment. This means that the Academy may feel that they need to give her a posthomous Oscar for her life work, much like Heath Ledger. There’s also the fact that the costume design is simply the best of the year, creating beautiful yet also over the top designs for the citizens of the kingdom. The smart money is still on Anna Karenina, but this is one Oscar win that would certainly make me smile. But you can’t have one Snow White movie without the other. Snow White And The Huntsman is certainly a bad apple, and the costume design is nothing to go crazy about. The designer is Colleen Atwood, who previously won this award for Chicago, Memiors Of A Geisha, and Alice In Wonderland. I don’t think she’s looking for a fourth Oscar, and if she is, she’s certainly not looking in the right direction.